She has to remember who she was. 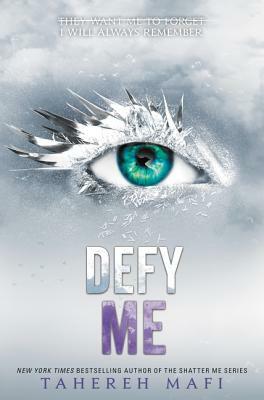 Narrated by Juliette, Warner, and Kenji Kishimoto, this gripping novel perfectly sets the stage for the highly anticipated forthcoming conclusion to the Shatter Me series. Tahereh Mafi is the New York Times and USA Today bestselling author of A Very Large Expanse of Sea, the Shatter Me series, Furthermore, and Whichwood. She can usually be found overcaffeinated and stuck in a book. You can find her online just about anywhere @TaherehMafi or on her website, www.taherehbooks.com.